When working with potentially dangerous tools and equipment, there is nothing even half as important as regular maintenance of said equipment. Knowing how to both tell when you need to clean your tools and how is a skill that is as vital as knowing how to use them in the first place. Though there is some complexity which comes with trying to look after a tool like a welder, especially the TIG and MIG variety, there are a few simple things you should always remember while attempting to do so. The first thing you will need to keep in mind is that when it comes to proper maintenance of your equipment for welding spare parts are a necessity. There is only so much you can do by looking after and cleaning your equipment, and sometimes it will inevitably either get damaged or worn out through repeated use. 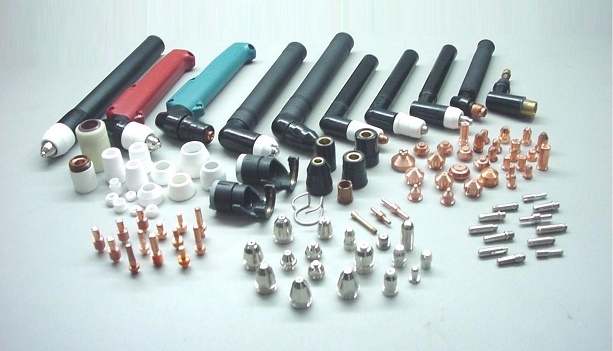 In the case where you even suspect there may be a flaw in the equipment, welding spare parts should immediately be used to replace the nozzle, the gas diffuser insulator, or any other of the many potentially defective pieces before a problem develops. Next, you will need to keep a careful eye on that gas cylinder. You should always store them in a dry, cool environment in an upright position, and if you can, consider getting a bit more protection for them like the gas cylinder cage. The hoses should be coiled and stored properly and regularly checked for creaks or damage. The valves should also be checked frequently to make sure that there are no leaks or problems with the pressure of the cylinder. And finally, the electrical system. This is a particularly dangerous aspect of any equipment that needs a charge to run, and it is no exception here as well as proper care needs to be taken before even attempting to go anywhere near the welders’ power source. First, you will need to disconnect all power units, then you will check and clean the wire feeder and drive rolls while also inspecting the inlet and outlet guides. Lastly, you will need to inspect the electrical cables and the electrical safety equipment for faults or problems at least on a monthly basis. The liner assembly and the welding gun itself, however, need to be serviced by a trained technician. Do your research, never get careless or rush while performing any of these tasks and probably most importantly, don’t bite off more than you can chew. If there is something you are unsure of, or if you are certain you can’t do this on your own, then that is exactly why there are professionals for this sort of thing.